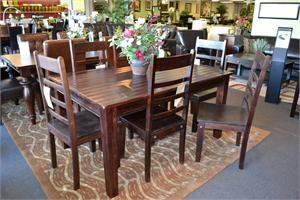 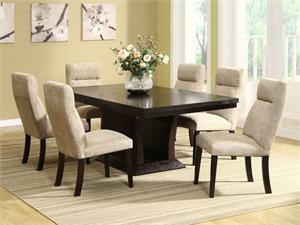 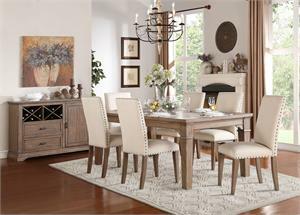 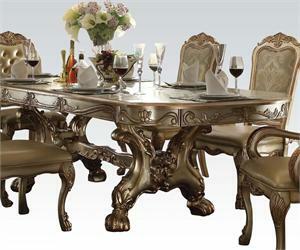 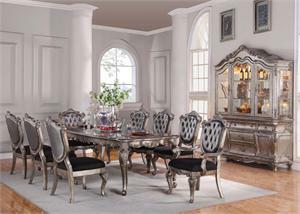 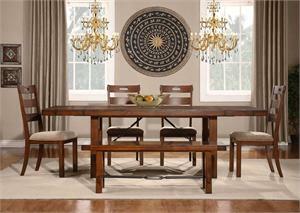 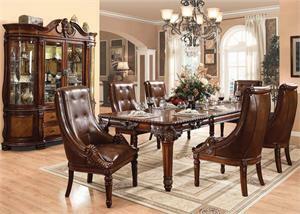 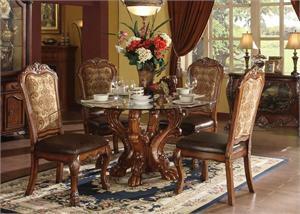 Each piece in Dresden's formal dining collection has been meticulously designed a crafted to match in style and finish. The chair frames are substantive a luxurious, and the designer chosen classical print upholstery fabric in a match to the antique finish on the frames. 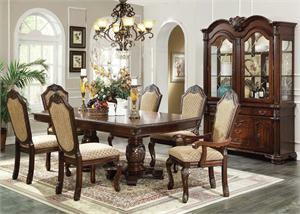 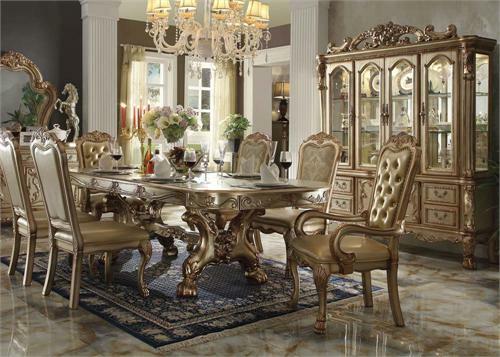 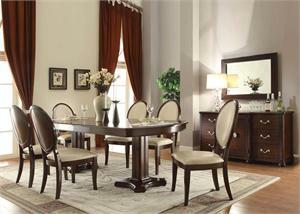 The impressive display buffet case is deservingly the centerpiece of this dining collection.